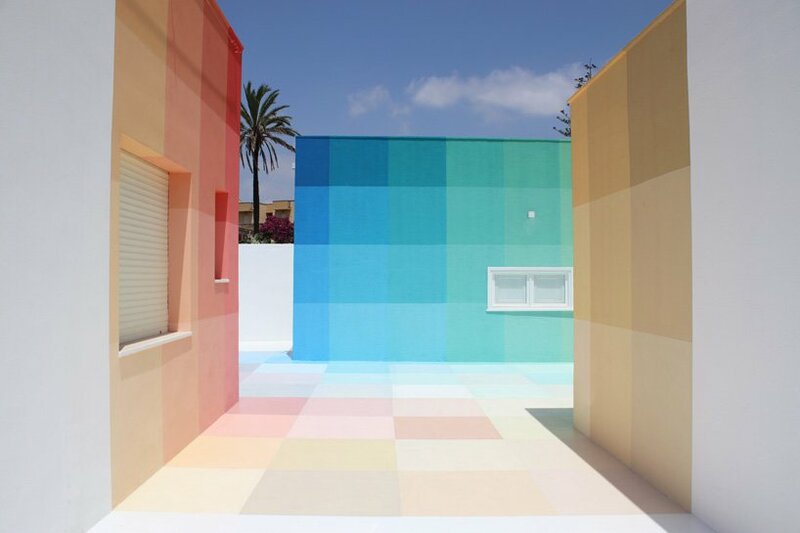 Alberonero alters the perception of space through color and mathematics with ’86+73′. 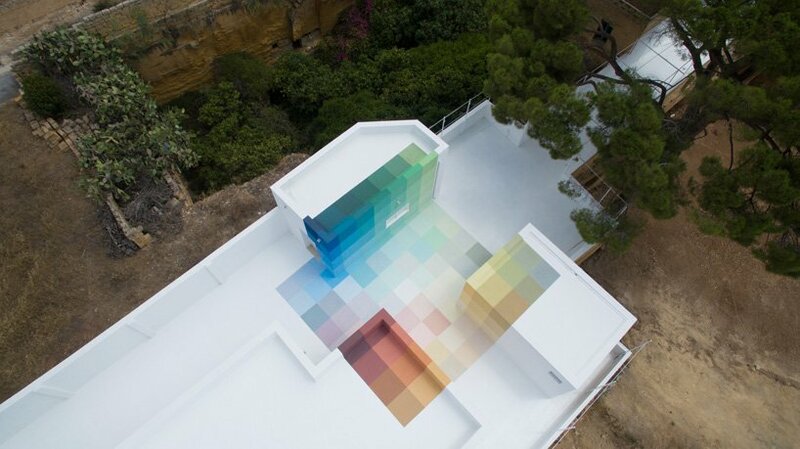 Sited at a cultural park on the western coast of sicily, milan-based designer Alberonero presents his latest public work, ’86+73.’ The immersive work is fundamentally a painting projected onto a built space, resulting in a transformation through the use of both color and mathematics. the work creates a dichotomy of perception as viewers shift between two and three dimensions. 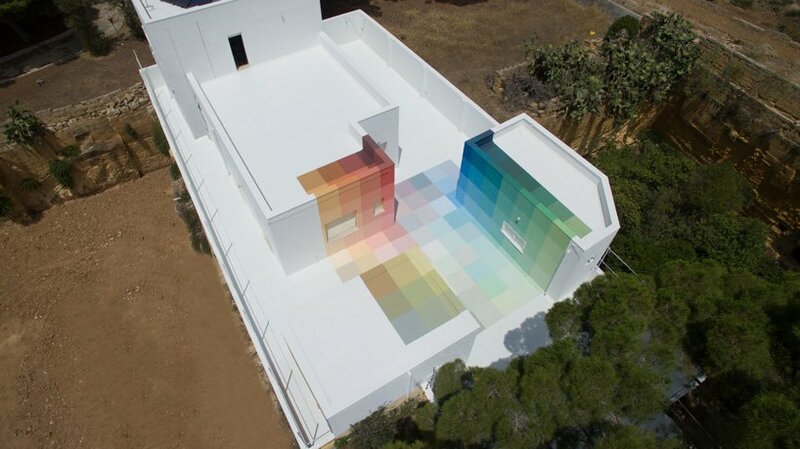 The painting is expressed across the floor, roofs and walls. 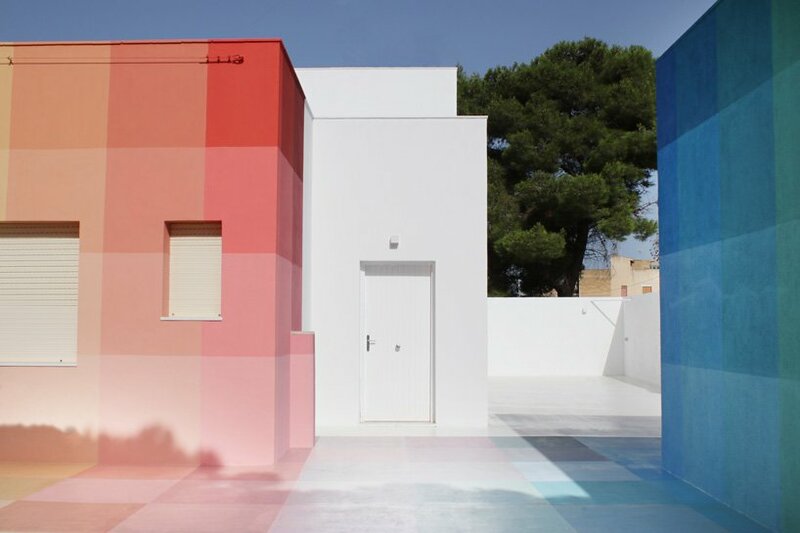 Through this work, Alberonero continues to investigate the relationship between man and the built and natural surroundings, reducing them to chromatic sensations. The project is sited at the cultural park, periferica — a disused quarry in Mazara del Vallo, sicily, which had been adopted and transformed by local creators. The area has been activated with workshops, competitions, cultural events, festivals. Alberonero is known for his large-scale works which transform architectural space through a reduction of its elements with minimal forms. the designer neutralizes a three dimensional surface with the use of the square, seen here as the purest expression of a single color. 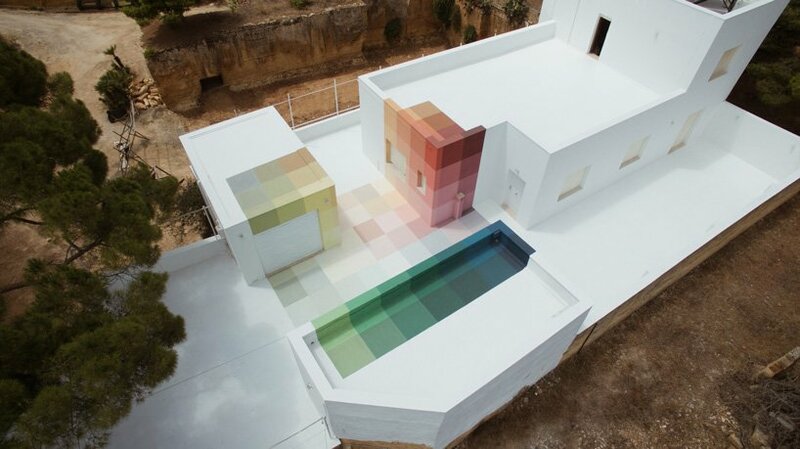 the combination of colors creates a new contextual perception based on their arrangement, geometry and interaction. 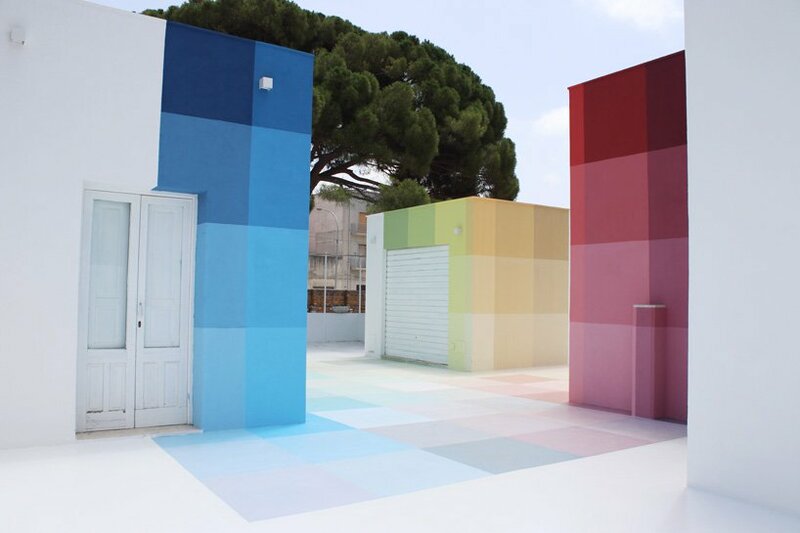 With the support of Linvea, the leader in the italian paint industry in the sector, Alberonero made use of over 300 liters of paint in 159 tones. the designer worked with the Viavai project to curate 86+73. Viavai works to showcase artists who, through their art, speak about the places in which they live. The name of the organization is derived from the italian ‘via,’ synonymous with the street, and its anagram ‘vai,’ signaling the beginning of a journey. ‘Viavai’ is understood as a passage through places which leaves a trace.